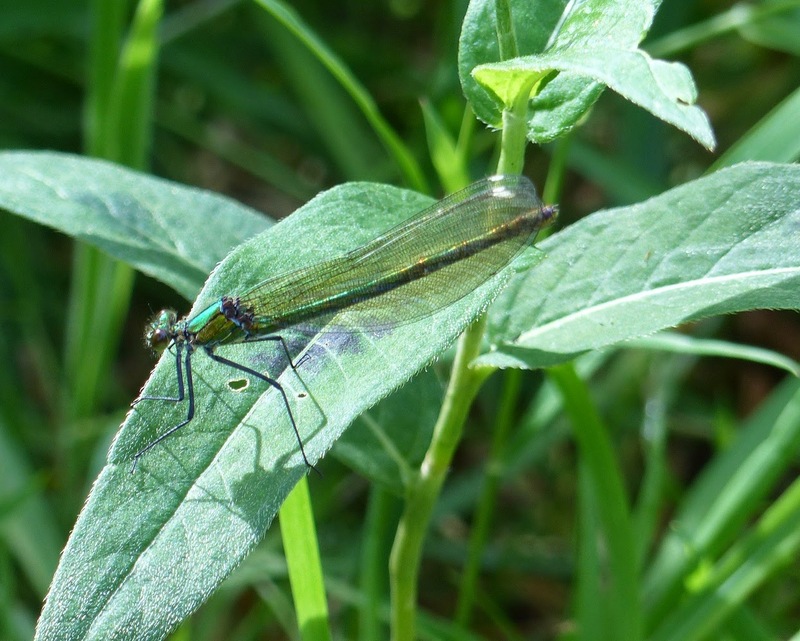 A female banded demoiselle at the mere this morning was a very unexpected sight, and was unsurprisingly a new species of damselfly for the mere. They have become established in St Helens in recent years, but are still almost wholly confined to the Sankey brook, and any record away from there is a good one. They usually prefer slow moving, well vegetated, clear rivers, but it's not unprecedented for them to be found around lakes, and there have been a small number of records from Bold Moss in recent years. I can't imagine them breeding at the mere, there's just not the habitat, the stream is too small, so these extralimital records are probably individuals dispersing and looking for new sites. 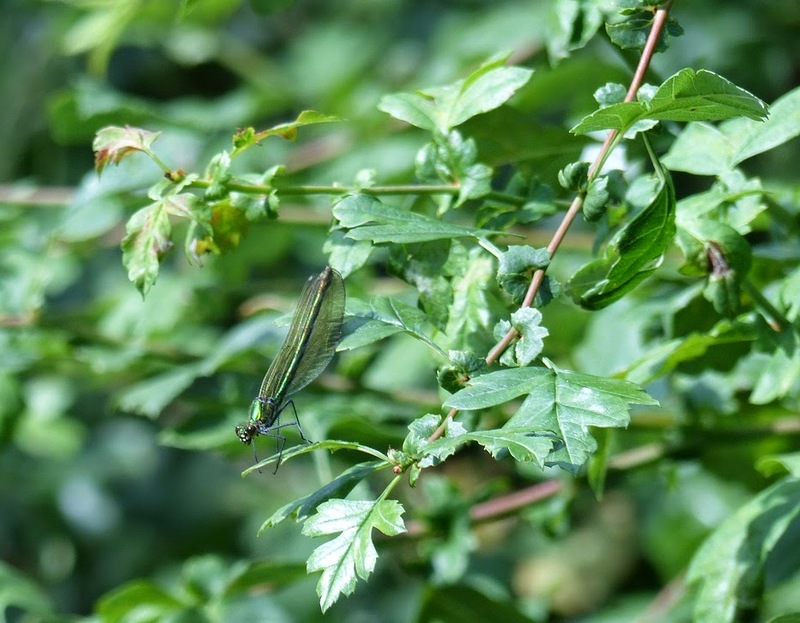 Female banded demoiselle, not a patch on the male but still very nice. 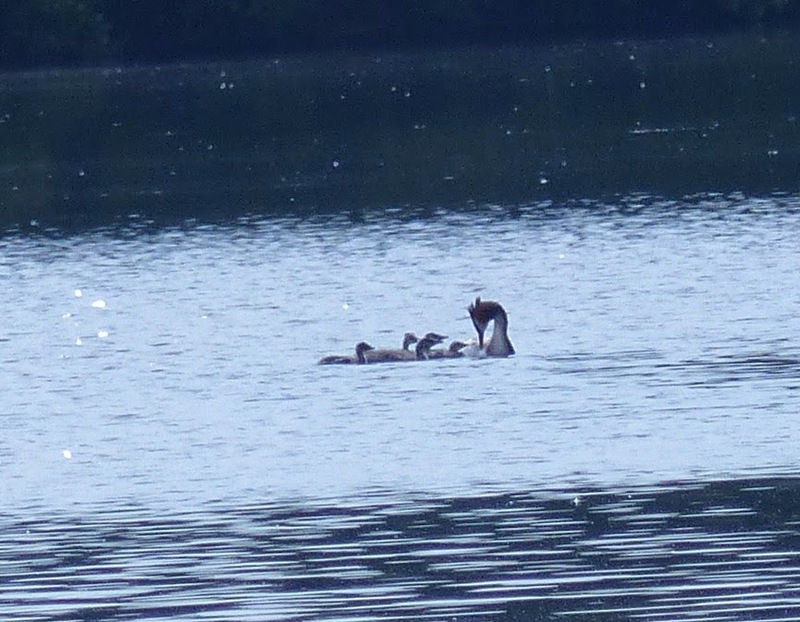 On the water I was surprised to see a great crested grebe family with 5 chicks. I usually expect to see two or three. I don't think I've ever seen 5 before. There were at least 4 other chicks on the mere today, so if they can all fledge it looks like they will have had a good year this year. Other birds at the mere today: Kingfisher, 2 mute swans with 6 cygnets, 100 coot, 12 tufted ducks.